The Monument to the Battle of the Nations, also know by its original name as Völkerschlachtdenkmal, is a large monument that can be found in the city of Leipzig, in the Federal Republic of Germany. 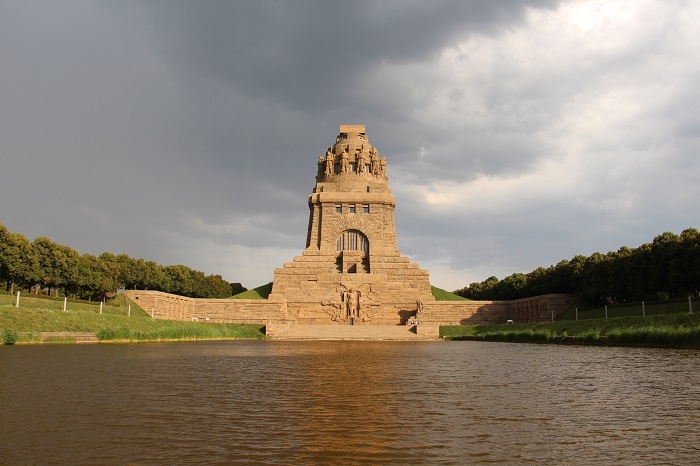 Being known as among Leipzig’s most famous landmarks, the Monument to the Battle of the Nations is located at the place where the unified armed forces of Russia, Prussia, Austria and Sweden prevailed in a decisive victory over Napoleon and his allies on German soil. 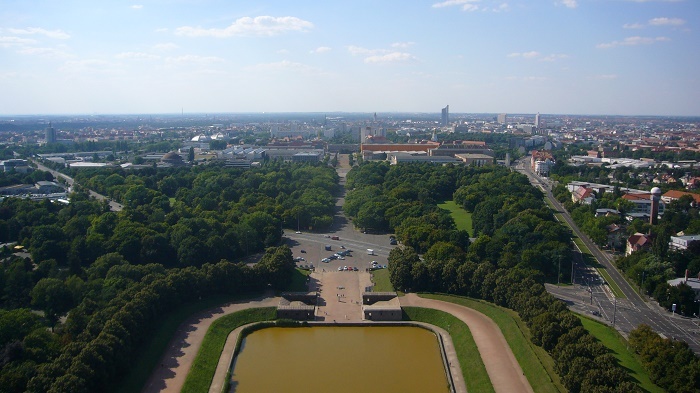 As the battle was fought between 16 and 19 October 1813 during the War of the Sixth Coalition, there were proposals coming the next year in order to commemorate the decisive battle which is considered to be the largest one in Europe before World War II. 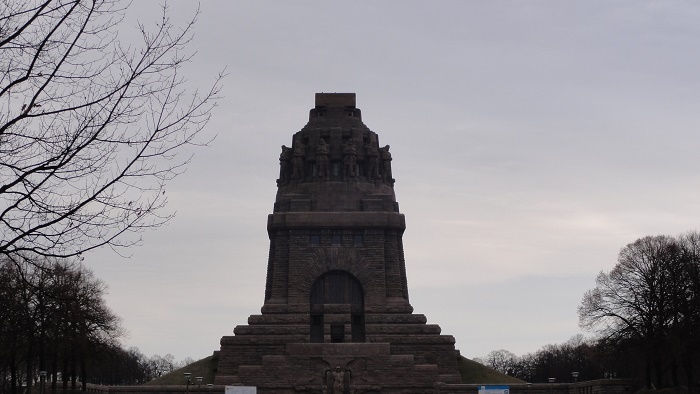 Unfortunately, the design which was proposed by the architect Friedrich Weinbrenner the following year was not accepted, and it remained like that until 1863, exactly 50 years after the devastating battle took place for the first stone to be placed in the ground, which was left at that. 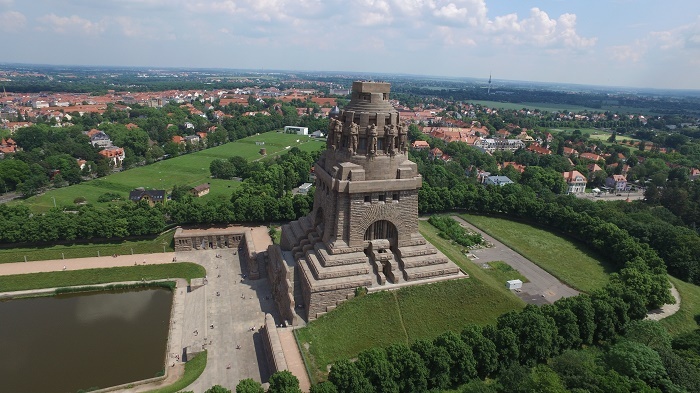 Fortunately, the member of the Association for the History of Leipzig, Clemens Thieme, got interested in the documents which he found and soon realized that a memorial project must be created in order to celebrate the 100 anniversary of the battle. 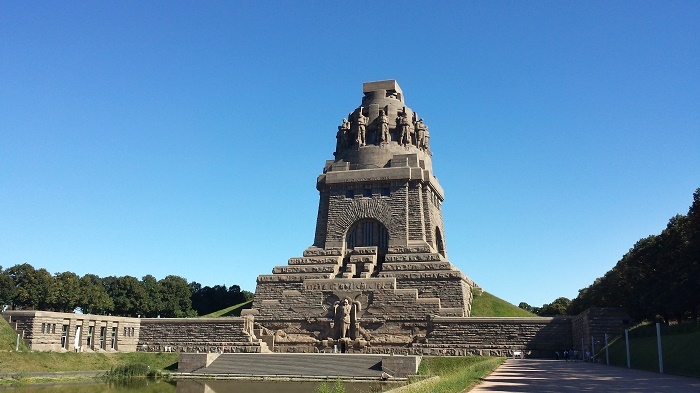 In 1894, he founded the Association of German Patriots who successfully raised the necessary means to construct the impressive monument. 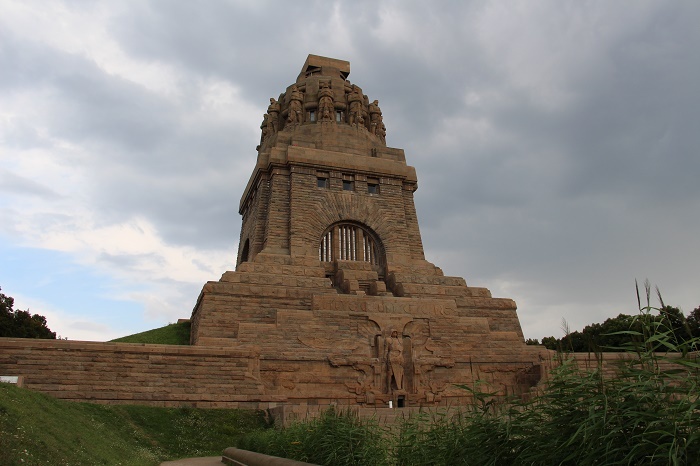 Now, with the official start of the construction on 18 October 1898, the German architect Bruno Schmitz was the responsible person for the design of the monumental structure, and as he was inspired by the early construction sketches, he decided to build the monument over an artificial hill. 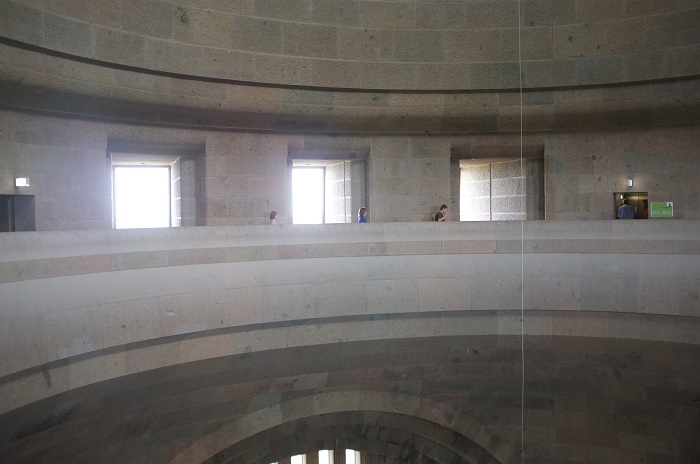 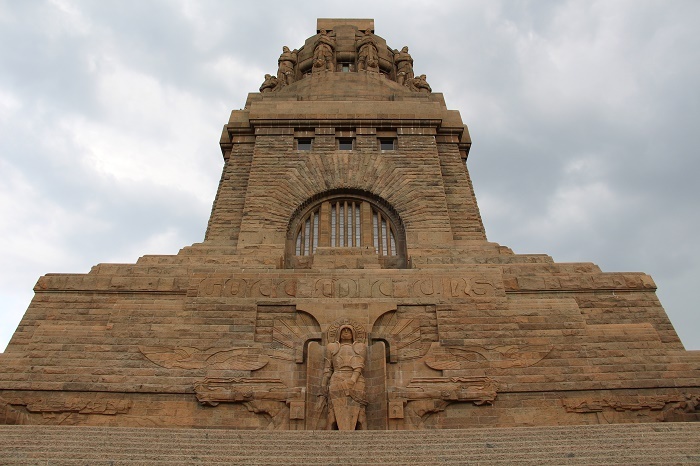 Officially opened on 18 October 1913, the Battle of the Nations Monument is 91 meters (299 feet) in height, 70 meters (230 feet) wide, with the total length of the entire grounds that are measured to be 80 meters (260 feet). 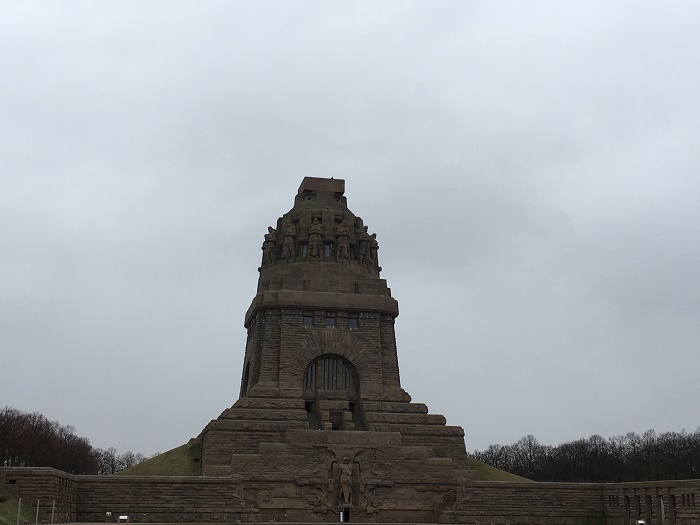 There is a large symbolism in the structure which has been often misused by the monarchists in the Weimar Republic, the Nazis in the Third Reich and the Stalinists in East Germany. 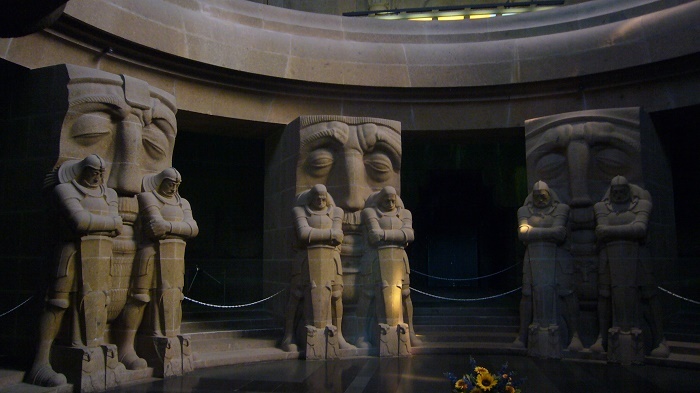 The structure has two floors, where on the first one is a crypt that is adorned by eight large statues of fallen warriors, each one next to smaller statues called the Guardians of the Dead, while on the second floor is the Hall of Fame that features four statues representing the four legendary historic qualities ascribed to the German people, those being bravery, faith, sacrifice, and fertility. 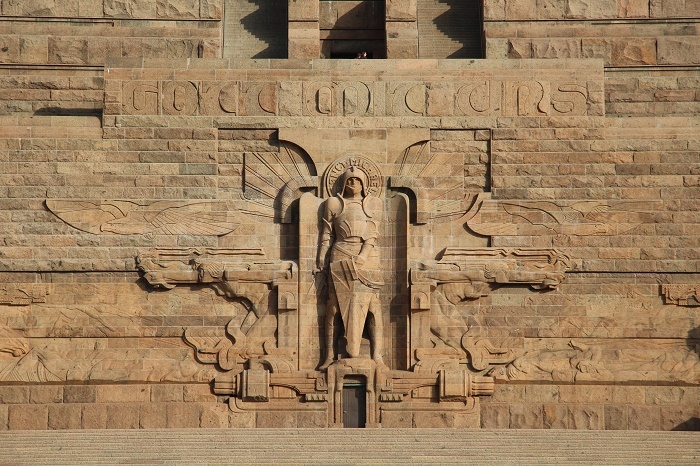 The exterior of the structure follows something like a shape of a temple, where at its base stands a towering sculpture of the archangel Michael who is joined in his vigil over the monument by a ring of giant stone guards circling the second floor. 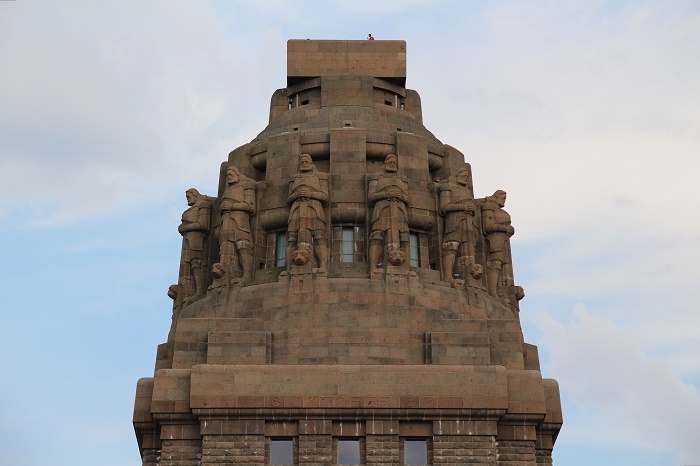 Constructed entirely in granite and sandstone, the cupola atop the entire monument is decorated with primitive Germanic shapes, inspired by Egyptian and Assyrian sculpture, and there were plans for Schmitz to add a court, a stadium and parade grounds, however, only a reflecting pool and two processional avenues were added. 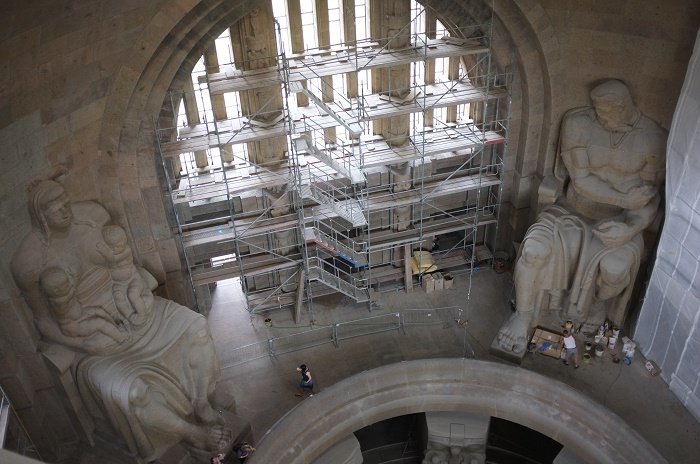 All in all, the great symbolism the memorial for the German people is returning again, glorifying the achievements of the people themselves and not the monarchy as it was the case with some other monuments.